Do you want to draw a fairy in pencil? I've found examples of the best fairy pencil sketches available on the net. Before that, let's look at some facts about a fairy. A fairy is the name given to a type of mythological being or legendary creature, a form of nature spirit, often described as metaphysical, supernatural or preternatural. The concept of fairies is based on the fame of medieval Western European (Old French) folklore and romance. Fairies are often identified with a variety of beings of other mythologies. Even in folklore that uses the term "fairy," there are many definitions of what constitutes a fairy. Sometimes the term is used to describe any magical creature, including goblins or gnomes: at other times, the term only describes a specific type of more ethereal creature. Here, I would like to share with you a video which you can use to guide you to have your fairy pencil drawings by Sandra McDougall. 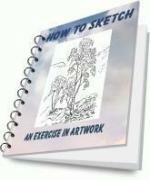 Discover Beautiful Angel Drawings And Paintings and Pencil Drawings of Fairies by other artists. Return from How To Draw A Fairy to Drawings of Angels. Return to Pencil Drawing Idea Home Page.